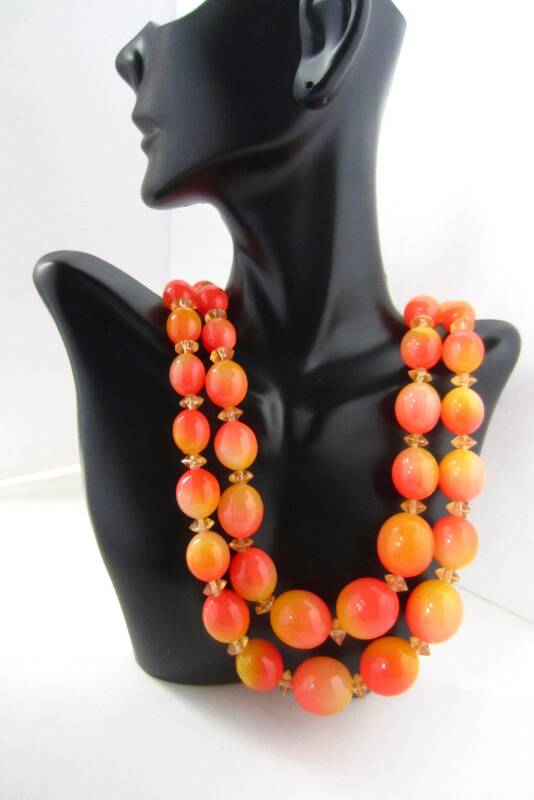 *LISTING: I have a fascination with 1960’s & ’70s jewelry imports. 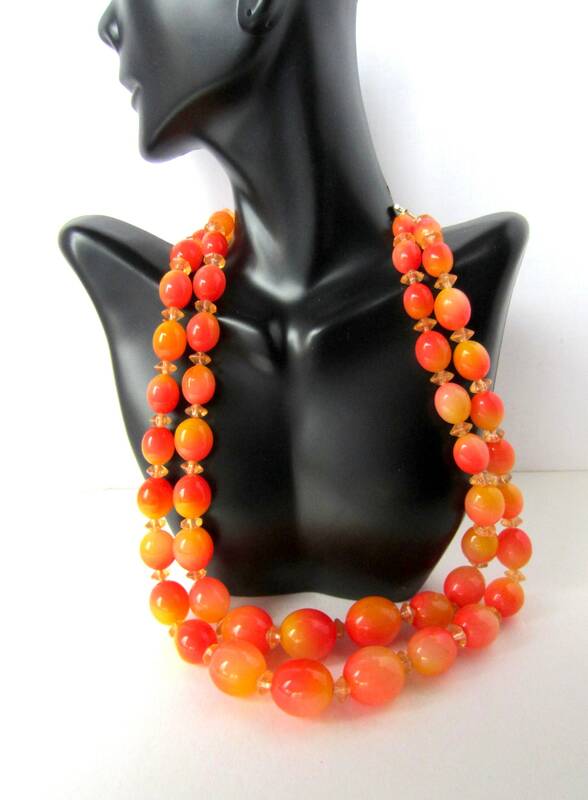 There is beautiful vintage costume jewelry to be found from Hong Kong, West Germany, & Czechoslovakia, to name a few. 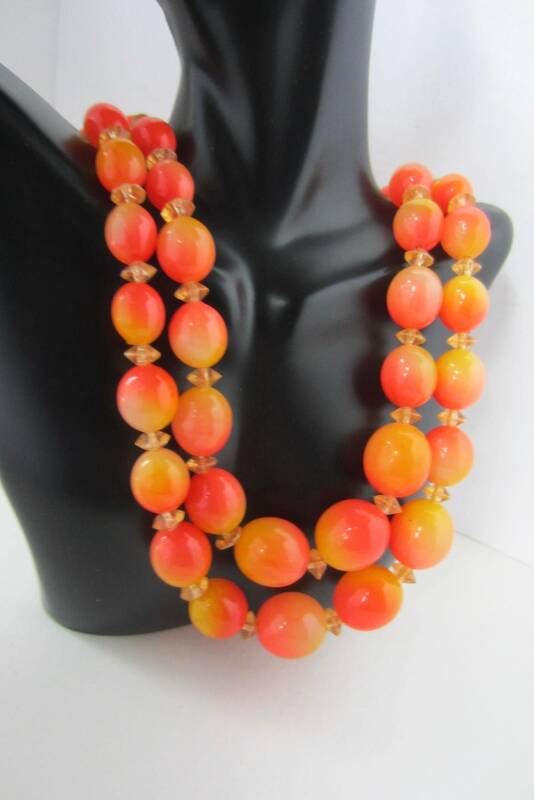 Created in Hong Kong, this double-strand necklace features delicious, mildly translucent, BRIGHT orange-meets-yellow colors to create ombre plastic beads. 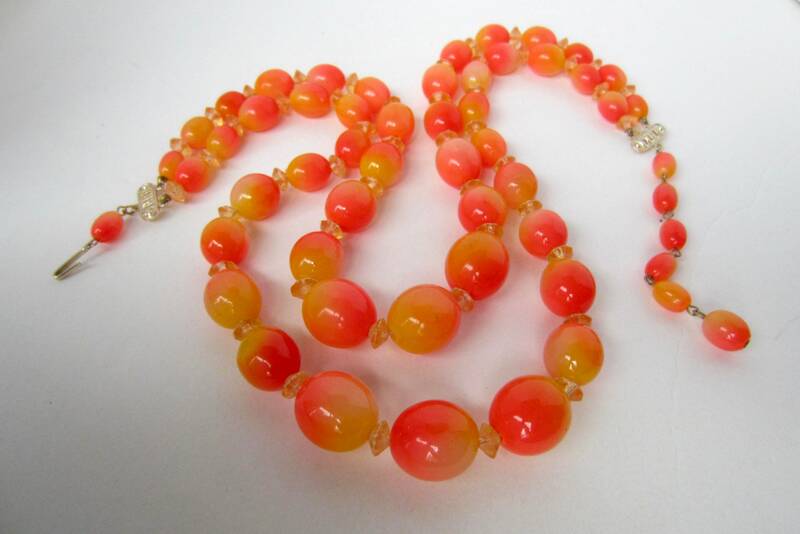 The blend of colors reminds me of "Tequila Sunrise" coloring found in rare Bakelite jewelry. 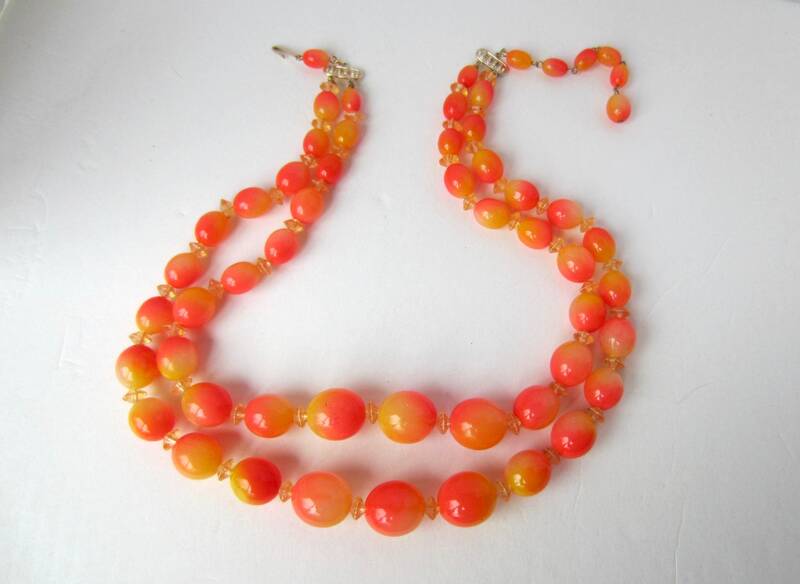 Each seamless, oval shaped bead is flanked by clear, pale orange rondelle beads. The fish hook closure can be moved up & down the 3+” extender to adjusted the necklace’s length. 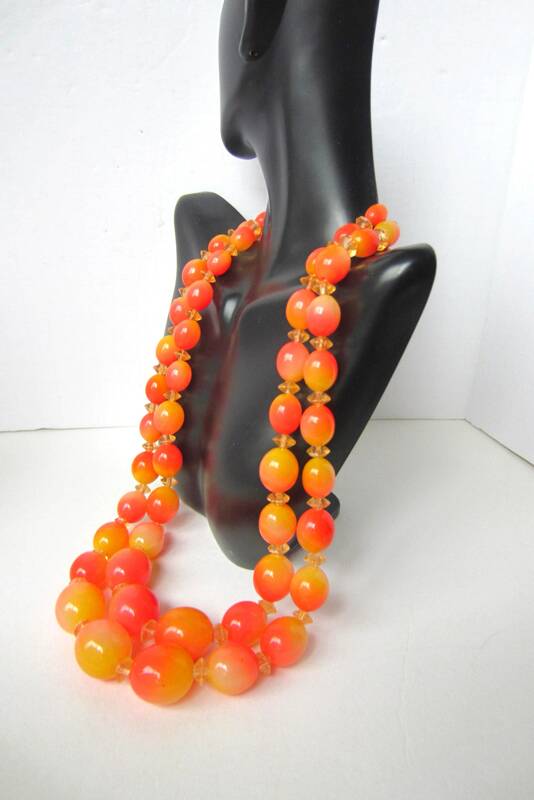 The beads are strung on a double strand of string. The necklace has a solid weight of ~86 gms. This piece is a feast for the eyes. It is beautiful, unique, and a statement-making piece. 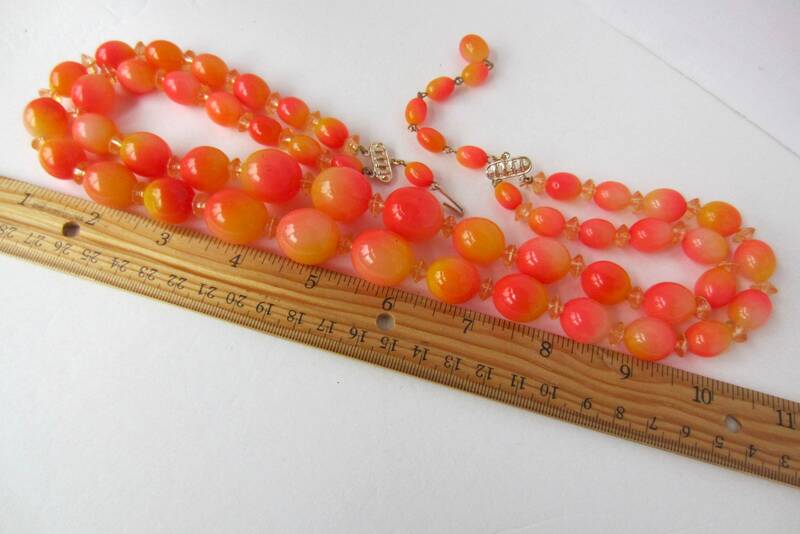 The biggest beads are ~20 x 17 mm each. The smallest beads are ~12 mm long. *CONDITION: excellent, vintage with mild play on the string. 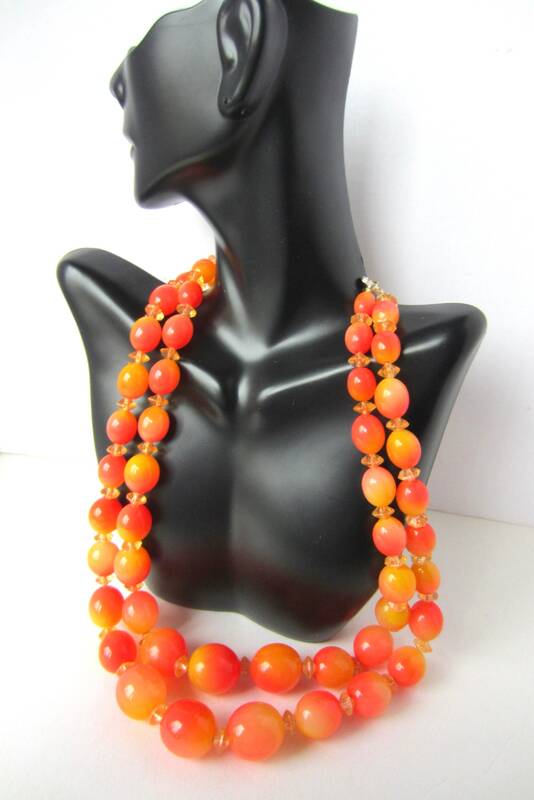 The beads are in lovely condition with a few tiny black dots that could have been part of the manufacturing process.